FLAGSTAFF — To celebrate and recognize Flagstaff’s Hispanic roots, Flagstaff Nuestras Raíces invites the public to attend its fourth annual “Flagstaff Summertime Tardeada — Mariachi and Folklorico Festival” from 11 a.m. to 7 p.m. Saturday, June 24 at Our Lady of Guadalupe Catholic Church, 224 S. Kendrick St., Flagstaff. The event is free and has drawn upwards of 400 visitors in past years. 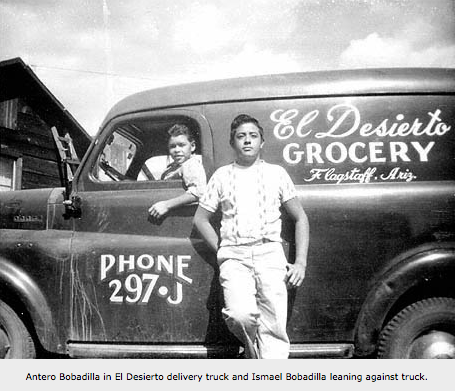 Our Lady of Guadalupe Catholic Church is a significant historic site because it was the pride and centerpiece of the Hispanic community when it was built in the late 1920s by Flagstaff Hispanic pioneer families, who had strong bonds to the church. What is a Tardeada? It’s a vibrant afternoon festival and social dance celebrating Flagstaff’s Hispanic culture and community history. The Coconino County Board of Supervisors is the premier sponsor. The festival’s goal is to celebrate the legacy of Flagstaff’s Hispanic culture through entertainment, music, dance, art, food and exhibits. The entertainment stage will feature Ballet Folklorico de Colores – Flagstaff; Desierto de Colores Ballet Folklorico — Holbrook; Mariachi Herencia Musical and Mariachi Inspiración from Tucson, and Northern Latin Express. So escape the triple-digit temperature in most of Arizona, bring your chairs and canopies and enjoy the cooler mountain breezes of Northern Arizona. 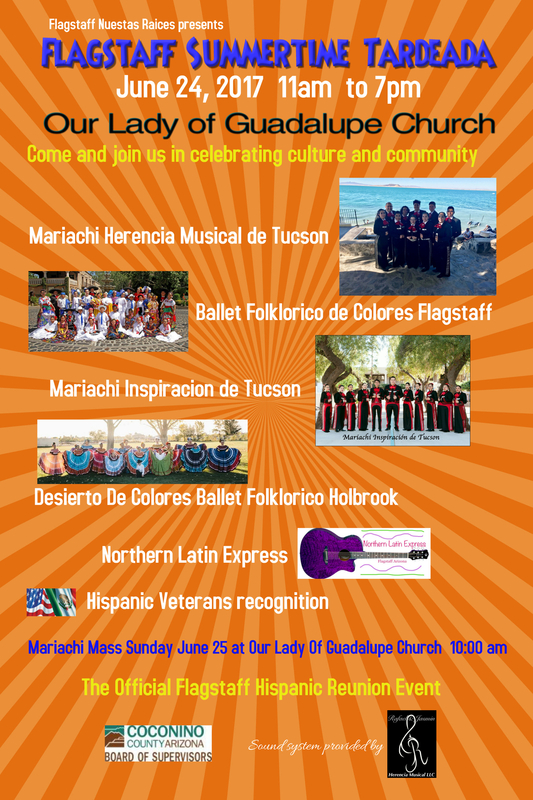 A Mariachi Mass will be held at 10 a.m. Sunday, June 25 at Our Lady of Guadalupe Catholic Church. The public is invited to both events. Visit www.flagstaffnuestrasraices.org or send an email to help@flagstaffnuestrasraices.org or info@flagstaffnuestrasraices.org for more information.